The world’s first passenger drone made by Chinese tech company EHang Inc. made its debut in the southern city of Guangzhou. The electrically powered vehicle, also known as EHang 184, is operated by an automated flight system so passengers don’t have to bother with driving. The self-driving drone can carry a single passenger weighing up to 100 kg for a 23-minute flight and can travel at a speed of 100 km per hour, said the company. 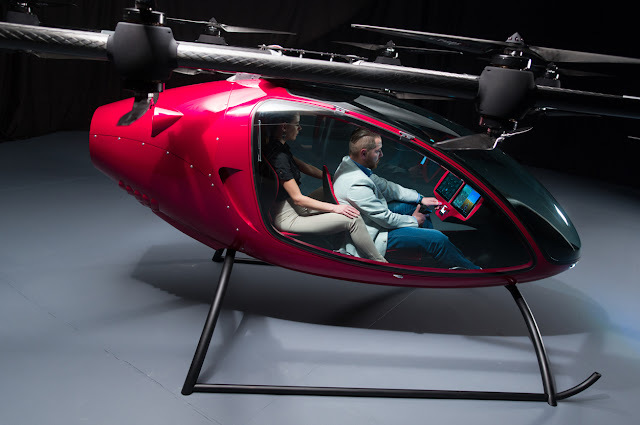 The drone can help people to avoid the traffic on the ground, but also in other applications, we can always think about emergency rescue, or we can transport patients to the hospital, or we can do tourism, you know, fly from one island to the other," said Derrick Xiong, co-founder and CEO of EHang, Inc.